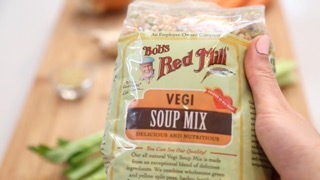 Looking for a healthy soup recipe? 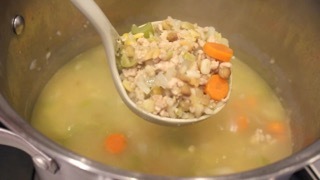 My turkey veggie ginger soup really hits the spot if you're craving for a delicious soup. Loaded with flavors of ginger and garlic and plenty of fresh vegetables, this soup also has healthy protein keeping any picky eater full and satisfied. 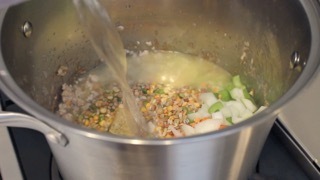 Feel free to modify and add to the ingredients and make your own custom soup with what you have in the fridge. I sometimes like to add broccoli, tofu and even avocado too! This recipe will yield you lots of soup for leftovers, so it makes for a quick and easy weeknight meal. Prep Time = 15 min. 1. 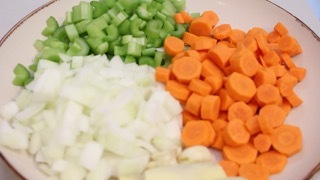 Prep and cut your veggies first.